Barley and vegetables gave the gladiators a protective layer of fat. The Roman gladiators ate almost only barley and vegetables. This shows in a survey of skeletons from a number of graves found in the city of Ephesus in Turkey today. The surprising diet was due to the fact that gladiators did not like meat. 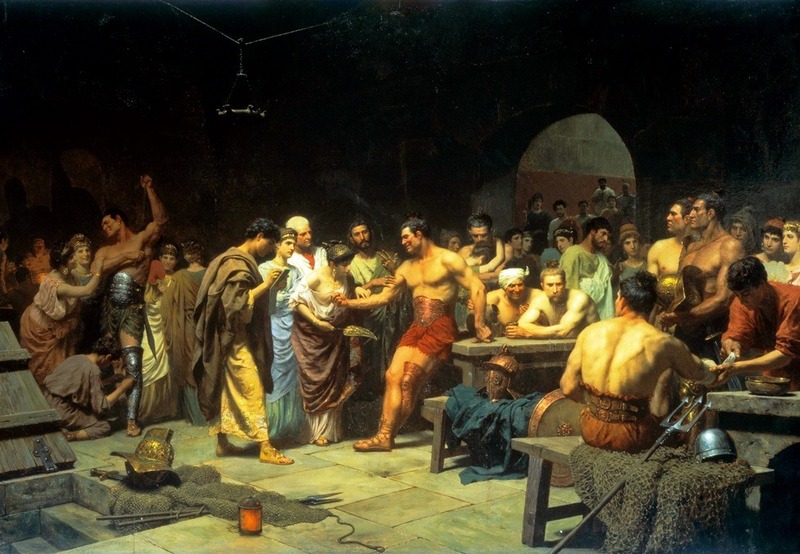 According to anthropologist Karl Großschmidt from Medical University of Vienna the vegetarian diet full of carbohydrates and protein gave the gladiators a thick layer of fat that could make the difference between life and death in the arena. “A thick layer of fat protects against cuts and hides neural pathways and vital blood vessels. If you just get hurt in the fat layer, you can still fight on” explains Großschmidt. The strict vegetarian diet did however not provided the gladiators with the calcium they needed to strengthen their bones. To remedy this they drank according to historical sources a mixture of burnt wood and ash from burned bones, which contained large amounts of calcium. This information is confirmed by the new studies, which show that gladiators bones contained concentrations of calcium which was far higher than among the general population.